Spring has sprung and warm weather is approaching! Time to start the open water swim season off with a swim in Spring Lake. 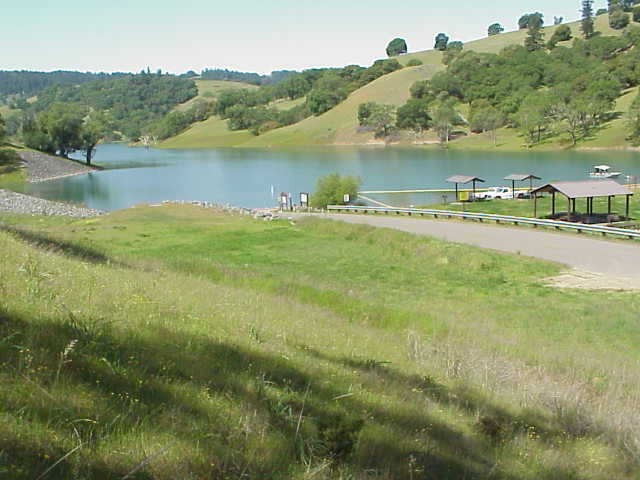 Join fellow swimmers in a one mile or 500 meter swim in Sonoma County at Spring Lake. The 27th annual Spring Lake Swims will take place at Spring Lake Park in Santa Rosa California on May 18th 2019. Registration begins at 7:30am and closes at 8:30am. To register online please visit here. For a printable copy, please click here The 500m will begin at 9:00am with the 1 mile swim start at 9:30am. No late registrations or refunds. 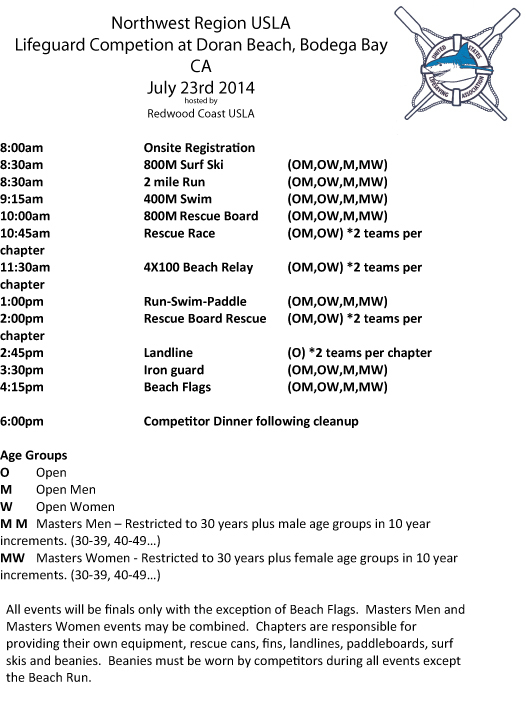 The race will be patrolled by United States Lifesaving Redwood Coast Chapter open water lifeguards. This is a great swim for beginners and advanced competitors. We can’t wait to see you on May 18th! For more information, please email rdwoodmasters@yahoo.com Driving directions available here. 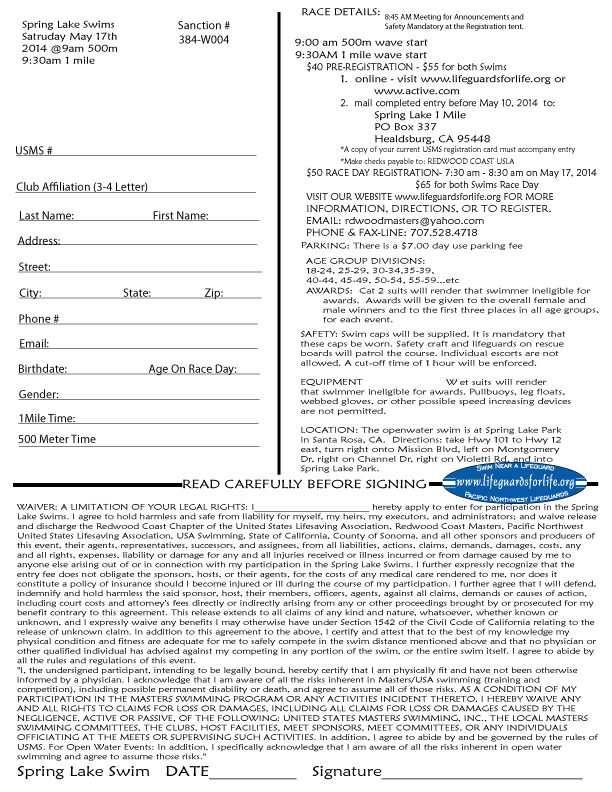 Redwood Coast Masters is once again hosting the 500m and 1 mile Spring Lake Swims in beautiful Northern California on May 17th, 2014. We think we have fixed the finish by doing the course in the opposite direction this year. This will give racers a straight shot at the sandy finish. The 500m will begin at 9am and the 1mile at 9:30am. Registration will be available from 7:30 to 8:30am for both events. Mail registration is available here and online registration available here. 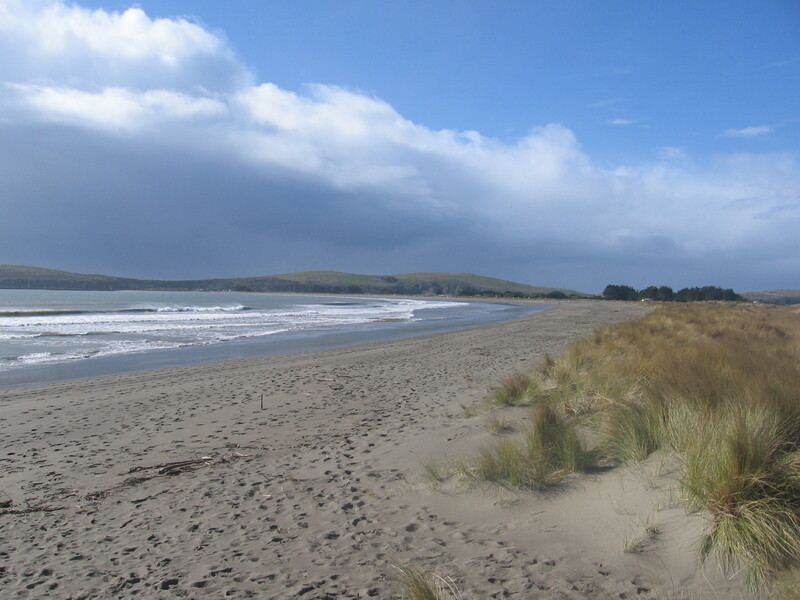 There is more information including course maps under the Open Water Swimming tab. If you have any questions, please email David at rdwoodmasters@yahoo.com. Results are now available under the Openwater Swimming Tab. On April 18th, 19th and 20th 2013, the Northwest Region of the United States Lifesaving Association will be hosting the Spring 2013 National Board of Directors meeting in Santa Rosa California. Nestled in beautiful wine country, the Flamingo Resort and Spa boasts world class rooms and amenities while being only minutes away from the beautiful Sonoma Valley and Russian River vineyards. Lifesavers from all over the world are invited to attend the conference. Room rates are discounted to $ 109 April 17th and 18th and $139 April 19th and 20th for those attending the conference. Conference attendees will have to call the Flamingo directly at 800-848-8300 in order to make their reservations by identifying themselves as part of the Pacific Northwest Region United States Lifesaving Association or by saying USLA . There is so much to do in wine country, from wine and microbrewery tastings which are a short cab ride from the resort, to surfing, diving, hot air balloon rides, hiking and biking. 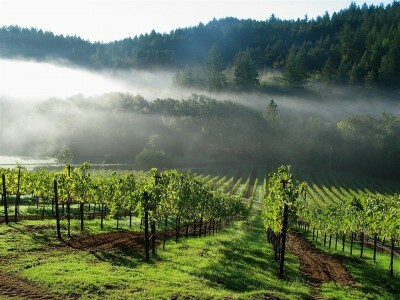 Sonoma County is an outdoor enthusiasts dream. We look forward to a fun and educational conference. See you in April. You can register via mail or online. Congratulations to the Redwood Coast Chapter for winning the 2012 Northwest Region United States Lifesaving Assocation Competition. The was the first year in over 10 years that a team from Oregon was able to attend the games. The competition was fierce and the comaraderie was fantastic. A special thank you to the Tahoe Nevada Guards and Nevada State Parks for co-sponsoring the event. Full results are available on the competition page.